Morocco seeks to double exports to Gulf this year-official - The Maghreb Times ! 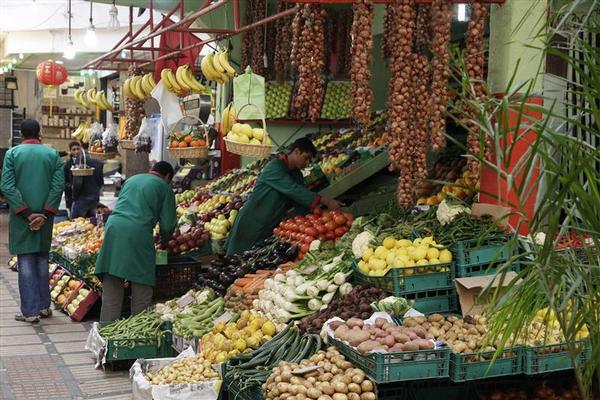 Morocco is seeking to double its exports of mainly agricultural products to the Gulf region this year as the North African state looks to diversify its markets away from main trading partner the European Union (EU), a trade official said. Relations between Morocco and the EU have been strained over a farm trade accord, which the European Court of Justice has ruled did not apply to the disputed territory of Western Sahara, which is controlled by Morocco. Rabat warned earlier this month that it would cut economic ties with the EU bloc if it does not honor the accord, and the European Union promised to maintain it, according to Reuters. Farming accounts for about 16 percent of Morocco’s economy. A trade official said that while Europe had long been the main partner due to its geographical proximity and historical ties, Morocco was now looking for new trade opportunities. “The Gulf is a key market for us as we seek to diversify our markets as Morocco’s exports should not be focused on the European market,” Othmane Michbal, head of the department of communication and public relations at the Moroccan ministry of Agriculture and Maritime Fisheries, told Zawya on Sunday. “We have already tripled our exports to the Gulf market over the past five years and now we are seeking to double the exports on a yearly basis starting this year,” he said in an interview on the sidelines of the Gulfood exhibition in Dubai. The official did not provide any trade figures for the GCC. The country’s farm trade amounted to 43 billion Moroccan dirhams ($4.6 billion) in 2015 and most of it was done with EU countries, according to Reuters. Michbal said that within the Gulf region, Morocco was focusing primarily on the United Arab Emirates, which he said was a big consumer of vegetable and fruit products, and Saudi Arabia. He said the UAE could also act as a gateway for Asia. “Dubai market is also a market for us to import to other Asian countries,” he said, adding that Morocco wants to triple its trade deals by 2020. The North African country aims to boost agriculture revenues under its “Green Morocco Plan” which aims to make agriculture the main driver of the economy in the next 10 to 15 years, according to a press release distributed at Morocco’s booth in the Gulfood exhibition. The food and agricultural sector employs around 30 percent of the country’s total workforce, according to Michbal.